BUY 4 GET 1 SHAWL ! So what are you waiting for? 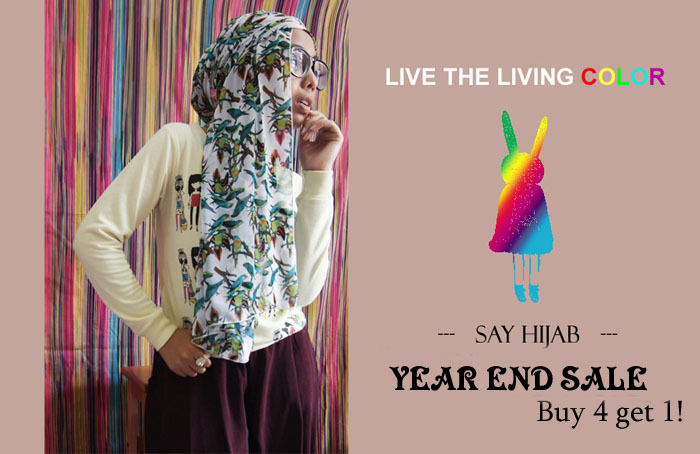 Check SAY Hijab facebook soon here. or click picture below. Thank you. sales are exciting you gotta admit. hahaha. love the shawl! Wish you and your 'sales" a well deserved success (your products are just so beautiful). Those foulards are amazing!! Thanks for your visit and kind comment on my blog honey!! Sangat cantik dan indah sekali. Semoga sukses ! When we check out the concept of the term really enjoy, not just in comparison to its a close partnership along with a further, although to be a emotion that may be engendered should you have miltchmonkey a much better romance on your own far too ( space ) or maybe to be a a sense increased oneness with your family or simply humankind * the idea gets to be even more superior that any person is looking for in daily life is adore. nice share sob,makin nambah ilmu ane..
Well first I want to say you thank you for commenting on my blog, so kind of you <3 I didn't know about your blog, but look very nice! I love it, so I'm following you, want to follow each other? <3 Oh and thanks for sharing that info! do check my blog. i share my hijab tutorial there.